For the first time in many years, Oscar fans were given a sneak peek at what production designer Derek McLane has planned for Sunday. McLane gave an exclusive interview and preview to Architectural Digest, which sponsors the Oscars backstage green room every year. "It wasn’t until I was asked to design the Oscars four years ago that I really started doing television," McLane said in the interview with the magazine. "Now this is my fourth year doing the Oscars, and I’ve also done three live musicals for NBC. It’s been an amazing several years!" 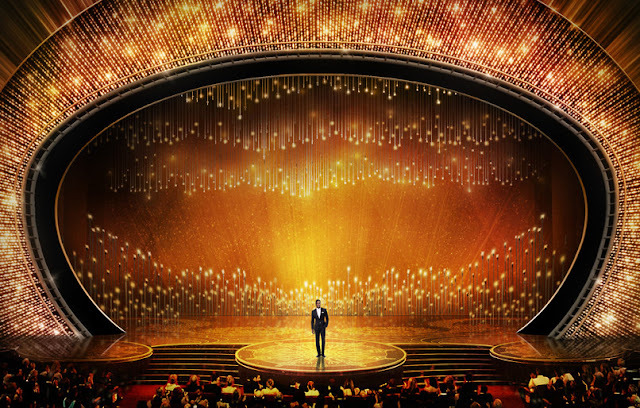 As The Gold Knight first reported in January, McLane returns to the Oscars for his fourth consecutive year designing the Oscars stage. 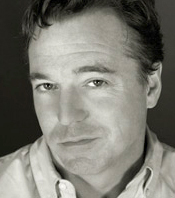 He earned Emmy nominations for his work on each of the previous telecasts and won in 2014. For the second year in a row, McLane won the Art Directors Guild Award for Excellence In Production Design for Awards, Music, or Game Shows for the Oscars. His other television credits include “The Wiz Live!,” “Peter Pan Live!” and “The Sound of Music Live!” He also has designed sets for Broadway and received a Tony Award for his work on the drama “33 Variations,” as well as three nominations for musicals. 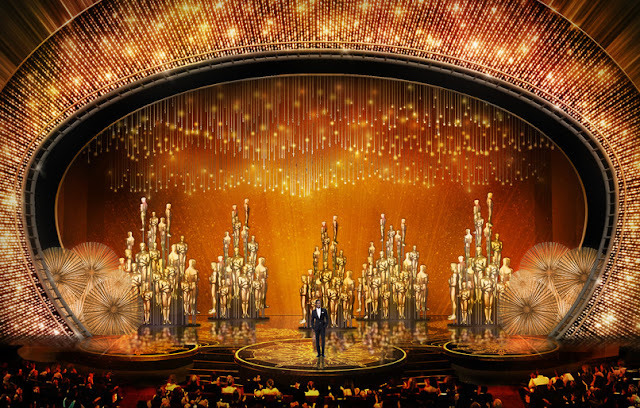 McLane told Architectural Digest that he started his process of designing the Oscars stage in September. "By mid-December, the designs are awarded to shops for construction, so they can start before the winter holidays and finish in January," he said. "They start loading the set into the theater in February, then about ten days before the show, we’ll turn the cameras on and start lighting it." For inspiration, McLane turned to producers David Hill and Reginald Hudlin, who themed the show "We all dream in gold." He said he used this as a springboard for coming up with a 1970s glam — but not kitschy — look. 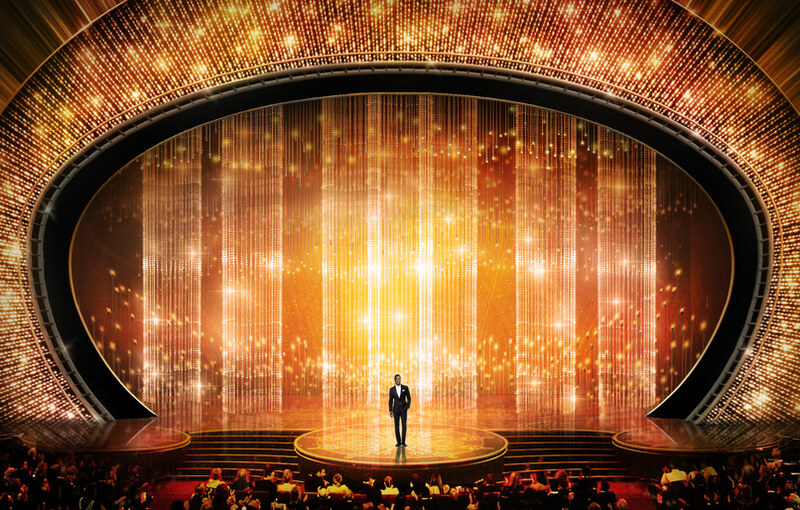 Viewers can expect about be four or five different looks for the stage, not including the three musical numbers. McLane said he is most excited about the proscenium arch around the stage this year. The arch will feature 27,120 Swarovski crystals. 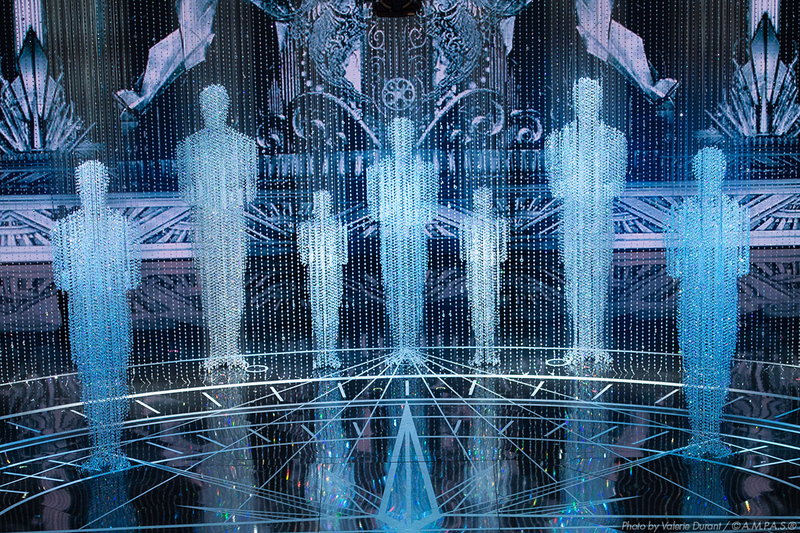 From the digital sketch photos, the arch shape is different from McLane's other Oscar designs, but the general design features McLane luminescent stamp. 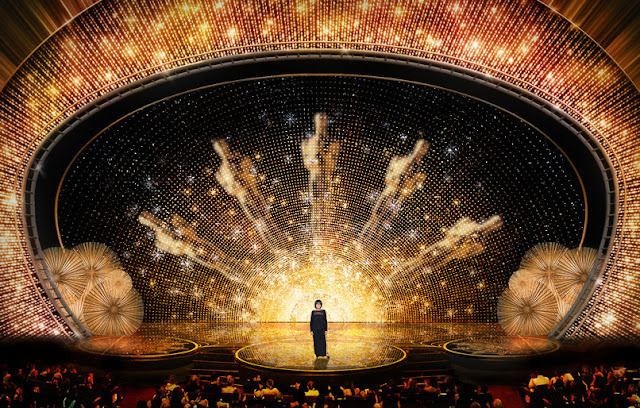 Seeing a preview of the Oscars set design used to be common practice years ago. Production designers before McLane would hold press conferences revealing their Oscar sets, talking about their inspiration and what to expect for one of the largest stages in the United States. Learn more about McLane's process by reading the full interview in Architectural Digest.